I may need help with this course. What do I do? If you need special accommodations in this course, please let me know, and I will try to provide what you need. How do I document what will help me? 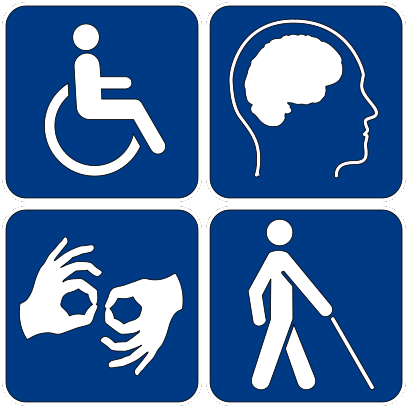 To document the special accommodations that will help you the most, please contact Services for Students with Disabilities (SSD) in 310 Lavery Hall (above the Turner Place Dining Center) as soon as possible to ensure that you have the resources you need to participate in the class. The procedures and forms you need are also available on the SSD website. I am happy to work with the SSD staff to make sure that you have the support you need. Documentation from the SSD office should be sent to me by the end of the first week of class so that I can ensure you have the materials you need. What if I do not have official documentation? That’s okay too. I know that the official testing can be expensive and time-consuming. Send me an email that tells me what you need, and I will try to help. What resources are designed for accessibility? Most resources we use can be magnified on your computer screen if the font is too small. The pages of the website test are readable by a screen reader. All the Lynda.com videos we use have an accompanying text transcript. Images on the course website should all have descriptive alt attributes. Most links on the course website have title attributes if the page title differs from the linked text. Canvas is accessible by screen readers. Slack’s mobile apps for Android and iOS are accessible. What resources may be inaccessible? Student projects used as examples may not be fully accessible. For instance, there may not be captions or alt attributes for the images in student work. I need extra time on projects. You can use the grace period if you need more time on a project or need to complete in-class work in a less distracting environment. Check the late policy for more details. If the grace period is not adequate for your situation, email me as far in advance as possible.